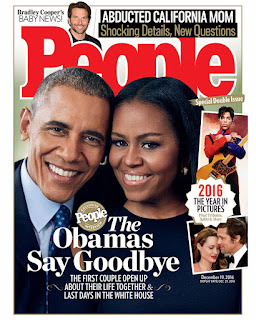 Less than a month after Vogue ran a cover story featuring First Lady Michelle Obama, People has done the same thing, publishing a joint interview with the First Lady and her husband President Barack Obama. 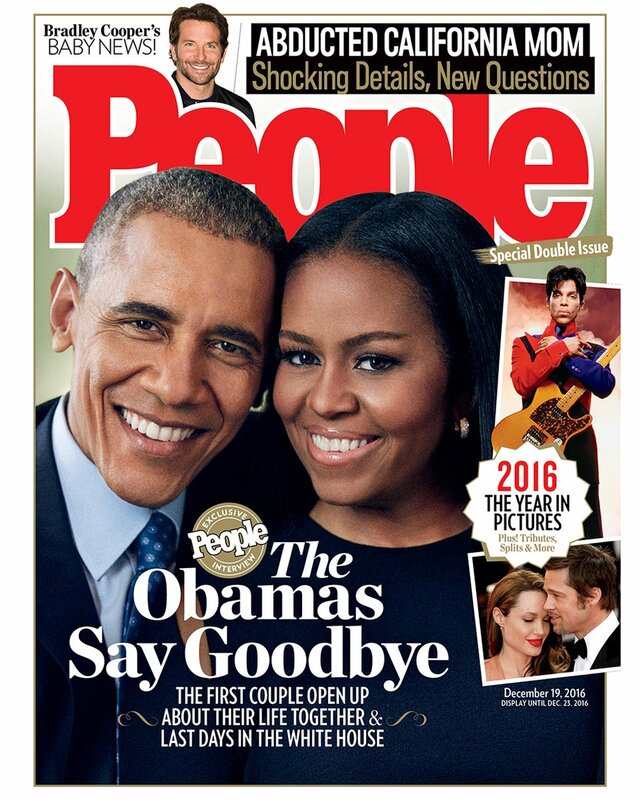 In the interview, Michelle Obama, a Hillary Clinton supporter, revealed that she didn't stay up to see Donald Trump win the election. Instead, she said, "I went to bed." In another part of the interview, President Barack Obama added that, despite the widespread issues following the Trump election, the recent election and its aftermath "doesn't negate all the progress that's been made" over the last eight years. In the interview, the First Lady explained why she chose not to watch the results of the election. "I don't like to watch the political discourse; I never have," she said. While referring to her husband's two presidential campaigns, she added, "I barely did with him." She also noted that she worked hard during the Clinton campaign and didn't feel as though she could affect the outcome of the election in any way by watching the poll numbers come in. "Once you do what you can do, then the rest is easy," she said. "It was in the hands of the American people." 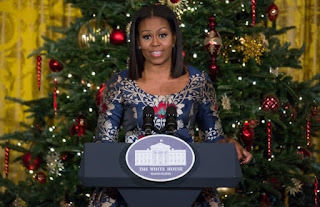 The First Lady is famous for her motto "When they go low, we go high," and she stuck with it regarding the election results. And while she doesn't take back her criticisms of Trump during the campaign, she is prepared and willing to help the president-elect and his family (she's already met with future First Lady Melania Trump). "This is our democracy, and this is how it works," she explained. "We are ready to work with the next administration and make sure they are as successful as they can be. Because that's what’s best for this country." In another clip from the People interview, President Obama discussed concerns over Trump. He noted that people have commented about how calm he seems about the whole thing. "Well, part of it is being born in Hawaii, the weather's really good. You can always take a plunge in the ocean, that'll chill you out," the president joked. Then he got serious: "But also, I'm somebody who never believes the hype when things are going good and doesn't despair when things don't work out your way." "The truth of the matter is that, when I got elected, there was still racism and misogyny and anti-gay sentiment in America," he continued. "What it signified was that, for the majority of Americans, we had made significant progress." Now, though, he explained, "In the wake of this election, those same elements are still there, but it doesn't negate all the progress that's been made."